Rheumatoid arthritis can affect many areas of the body although it mainly affects the joints and the symptoms of the condition tend to develop gradually over a period of weeks or months, whilst in some cases they progress quickly in a number of days. 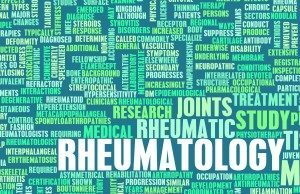 The symptoms are unique to each individual but there are some overlaps and clear distinctions which allow medical professionals to diagnose rheumatoid arthritis. Below is a closer look at the joint-specific symptoms of rheumatoid arthritis as well as the related more generalised symptoms. The joint pain typically associate with rheumatoid arthritis is usually described as a throbbing or aching. It is often more painful and worse in the mornings and also after periods of inactivity or bed rest. Rheumatoid arthritis affects the lining of the joints as well as the joints themselves and they tend to become inflamed. This can result in the joints swelling alongside the pain and they can also become hot to touch and tender, as well as redder than your natural skin colour. Firm swellings are also a symptom of this condition and are known as rheumatoid nodules. General joint stiffness is something most people experience in their lives but the stiffness associated with rheumatoid arthritis can make your joints difficult to use or manipulate at all. If your hands are affects for example, you may find you cannot form a fist or bend your fingers with ease. Much like the pain associated with this condition joint stiffness gets worse after periods of inactivity and Iis also typically worse in the mornings. As well as the main problems that rheumatoid arthritis is known for, there are also additional general symptoms which are associated with the condition. These include fatigue and lack of energy, weight loss, fever, sweating and loss of appetite. These symptoms are usually short term and may occur at the time of a flare up but should certainly be discussed with a doctor.